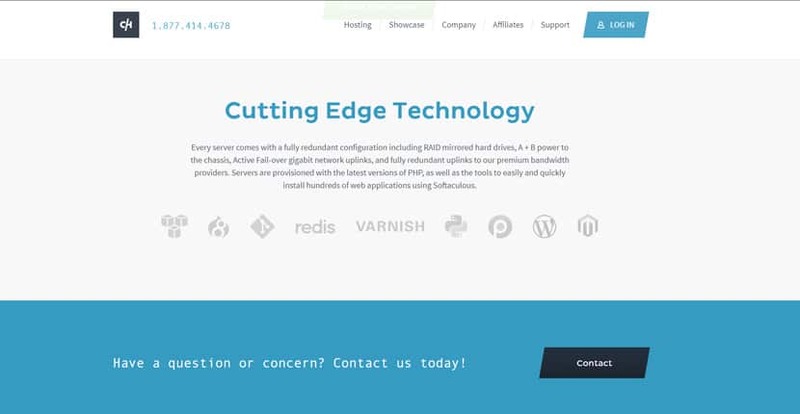 Crucial Web Hosting Review 2019: Is Crucial Web Hosting a Good Hosting? Crucial Hosting has spent a decade perfecting their web hosting solutions. Unfortunately, their platform isn’t a beginner-friendly one and is only recommended for experienced webmasters. U.S.-based Crucial Hosting has been providing web hosting solutions for clients around the world since 2006. They provide plans with great basic and value-added features that are excellent for most websites. However, their plans are not suited for beginners, and their support is lacking. You can check out their features page for a full list, but their platform is robust enough to handle most personal and business websites. They’ve clearly invested quite a bit into making sure their infrastructure is always on the cutting edge — in fact, they were one of the first hosting providers in the industry to offer virtualized servers, back when virtual servers were pretty much unheard of. The only real issue that I find with their platform is with their setup tools. While they list themselves as compatible with platforms such as WordPress and Drupal, they don’t offer any form of auto-installer or website builder. This means that you’ll have to set up everything manually through the cPanel, which also makes this platform less than ideal for beginners. Experienced webmasters, however, will have few problems using this platform. As you can tell, the Personal plan is at a bit of a disadvantage due to significantly lower memory allocations, only a single domain, and no subdomains. I like the resources provided on the Professional and Business plans, but note that you’re going to pay up a few times more for those resources. Note that none of these plans come with a free domain, so you’ll pay for that annually in addition to your hosting. They do offer free SSL certificates, so the savings there will offset your domain purchase. Also, if you’re on the Personal plan and decide you need a dedicated IP, you can purchase one at a monthly fee. This will still be cheaper than upgrading to the Professional plan. Finally, all plans come with a 30-day money back guarantee. Crucial Hosting offers limited support options for customers. Your only options are submitting a ticket or looking up answers in the knowledge base, and the knowledge base is limited. Their phone line is only for pre-sales questions. If you’re an experienced webmaster, Crucial Hosting offers reliable solutions for website hosting. All plans offer fantastic storage and solid features. Unfortunately, beginners will struggle as there are few entry-level tools available and support is lacking. Wondering how Crucial Web Hosting stacks up against other Web Hosting companies? Enter any other Web Hosting company and we will give you a side-by-side comparison.